Caption slip reads: "Photographer: Snow. Date: 1957-07-19. Reporter: Sid Bernstein. Assignment: Leo Lewie, double murder suspect, at Beverly Hills city jail. 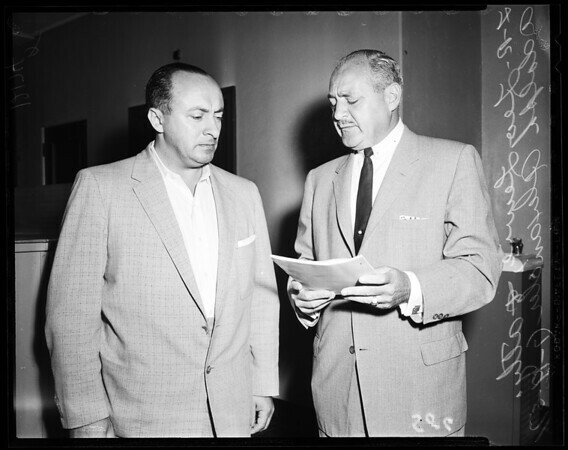 Left to Right: Lewie and his attorney, Adolph Alexander, confer before arraignment in Beverly Hills Municipal Court."